1. Ads at the top of the page and on the left of the page perfom better than any other ads. 2. Ads without background colour and borders perfom better than ads within borders with background colour. 3. Ads within content pages perform better than any other ads. 4. A search box on every page gives you another chance for earning Adsense income. 5. A blue link at the top of the ad, the ad in black, and the URL also in black so that it blends in with the ad copy – also tends to perform well. A black url makes the link stand out and gives you a better chance of someone clicking on it. 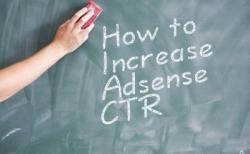 0 Respones to "google Adsense placement guide to how get high CTR"